Ion Air Jet offers easy installation using 1/8 NPT male inlet. Using small amount of compressed air to entrain 80 percent of the total output airflow from the surrounding room air, Ion Air Jet minimizes compressed air use and maximizes ionized airflow. With positive and negative ions capable of neutralizing high static charges, unit’s electrically energized emitter at the discharge end fills the entire airstream. 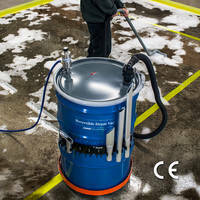 Available with permanent mount or flexible hose, Device can be used as spot cleaner. 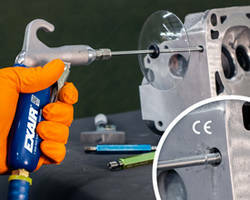 EXAIRs new Ion Air Jet removes static electricity, contaminants and dust from parts prior to shrink wrapping, packaging, printing, painting or finishing. This engineered product has undergone independent laboratory tests to certify it meets the rigorous safety, health and environmental standards of the USA, European Union and Canada that are required to attain the CE and UL marks. It is also RoHS compliant. New design features include a metal armored high voltage cable to protect against abrasion and cuts, a replaceable emitter point, integrated ground connection and electromagnetic shielding. The shockless Ion Air Jet is an effective spot cleaner, available with permanent mount or flexible hose with base for benchtop applications. The air saving Ion Air Jet uses a small amount of compressed air to entrain 80 percent of the total output airflow from the surrounding room air, minimizing compressed air use and maximizing ionized airflow. An electrically energized emitter at the discharge end fills the entire airstream with positive and negative ions capable of neutralizing high static charges in a fraction of a second. An optional regulator allows infinite adjustment of the air volume and velocity. 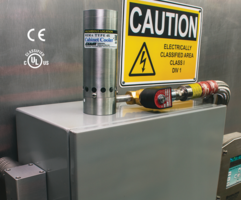 For permanent mount applications, the compact Ion Air Jet is the best choice since it is lightweight and easy to install using the 1/8 NPT male inlet. For applications where frequent repositioning is required, the flexible Stay Set Ion Air Jet is ideal. 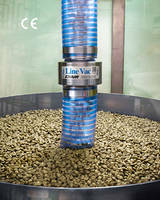 The hose allows you to aim the ionized air at a localized area. The Ion Air Jet is quiet and lightweight. The 5 foot shielded power cable is flexible, designed for rugged use. 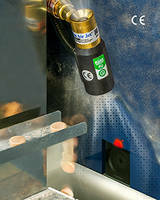 A new selectable voltage power supply has been designed to operate the Ion Air Jet. 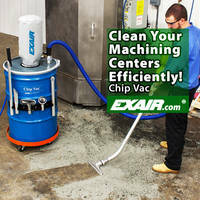 Applications include cleaning molded parts, pre-paint dust removal, furniture finishing and package cleaning prior to labeling, printing, and assembly. Price is $334.